After a few Reignwolf straps mysteriously went missing (AKA stolen) at recent shows, Reignwolf frontman Jordan Cook decided that instead of going on a manhunt for the perpetrators it was time to release some to the fans. Jordan recently teamed up with Orion Guitar Gear to create customized replacements for his guitars, in addition to a few limited edition straps (numbered 1-15) for the RW fans. 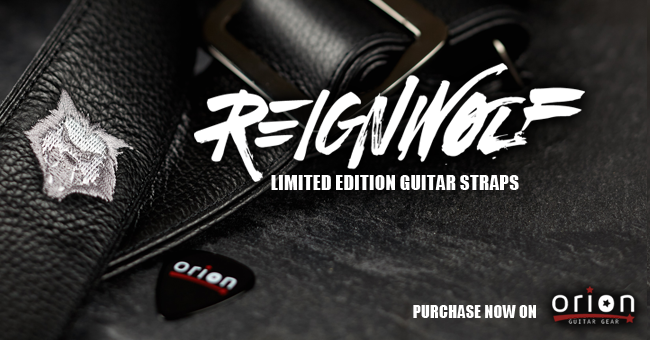 Made in NYC of the highest quality durable leather and hardware, the official Reignwolf strap is here!